WOW! Where do I begin? I fell in love with Henry and Victor, as well as Jo and Lizzie in Restless Spirits and didn't think I could possibly care for them more, boy was I wrong! 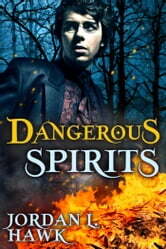 In Dangerous Spirits we find highs and lows in the relationships, some because of Henry's early lie and others because of the arrival of Vincent & Lizzie's friend, Sylvester. Watching Henry twisting inside because of his lie then add in the jealousy of Sylvester and my heart was torn between tears and screaming at Henry to come clean. Don't even get me started on the creepy spirits they have to face. Well, Ms. Hawk as done it again putting her creative paranormal psyche to print. If you like any one of history, paranormal, or romance then this is the one for you and if you are like me and love all three, let's just say you are in for the treat of your life! As we close in on Halloween, or All Hallow's Eve, then this is definitely a must for your reading pleasure. 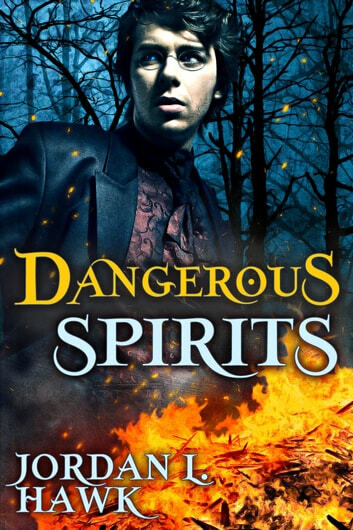 Historical novels were never my thing But this paranormal series makes it work so well, I don't think it would have the same effect in a modern settling.